Linux and UNIX operating systems are becoming increasingly important especially in commercial computing environments. They are very much in demand but they aren’t very easy to use. So if you plan on preparing for the CompTIA Linux+ and the Novell Certified Linux Professional certification exams, then this hands-on duo of courses will help you get your dream job. So thinking about it yet? Still need more reason to buy it? 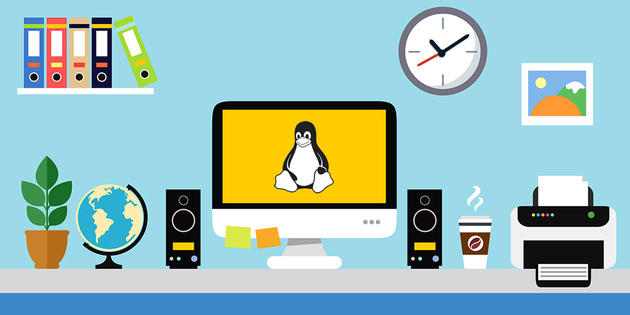 This Linux and UNIX course bundle is created by Vision Training Systems. The course has been designed and created by the industry’s top team of course developers and certified instructors. Vision hires the best people to instruct and has guaranteed a pass rate of 98.4%. The company aims to provide a high quality, customizable training that can be accessed by users 24/7 and can help people become experts and Linux and UNIX operating systems. The course is designed to meet the needs of students of any level of expertise. Vision learning system provides instructor led lectures, visual demonstrations, multimedia presentations, test simulations, flash cards, educational games, one-on-one support and guaranteed certification. The company is now among the fast growing companies in the IT training sector. After purchase, the code can be redeemed within 30 days. You can also access the course for a year. Access options include web streaming and mobile streaming. There is no fixed level of expertise necessary for you to take the course. You will need an internet connection obviously for streaming. However, the course does not include a certification of completion. So just visit the site and become a pro.